Show Horse Council of SA Inc.
Show Horse Council of South Australia Inc. Welcome to the Show Horse Council of South Australia Inc. 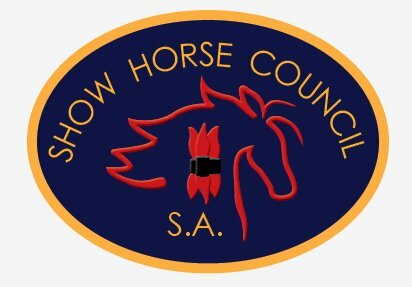 Welcome to the Official Website of the Show Horse Council of South Australia Incorporated (SHC SA Inc.). We are a constituent affiliate of the Show Horse Council of Australasia Inc. The SHC SA Inc. offers you and your family the opportunity to join a great organisation dedicated to the showing of show hacks and show hunters. This site contains information on the Memberships, Horse Registration, Upcoming Show Dates, Show Results and much more that our organisation does for the community & our members. The SHC SA Inc. is a not for profit organisation run entirely by volunteers who work tirelessly to meet the needs of our show horse competitors in South Australia by way of holding shows, clinics and other Associated events for our members. We hold affiliated shows and clinics throughout metropolitan and regional South Australia. We are always open to feedback so please let us know if you have ideas on how we can do things better to meet your needs. The aim of the SHC SA is to continually strive to improve and maintain our commitment to the sport of Hacking both in South Australia and Nationally. We provide a safe friendly environment for competitors of all levels to experience the fun of showing their horse. The SHC-SA Committee would like to acknowledge and thank our many sponsors and supporters as without them we could not do what we do.